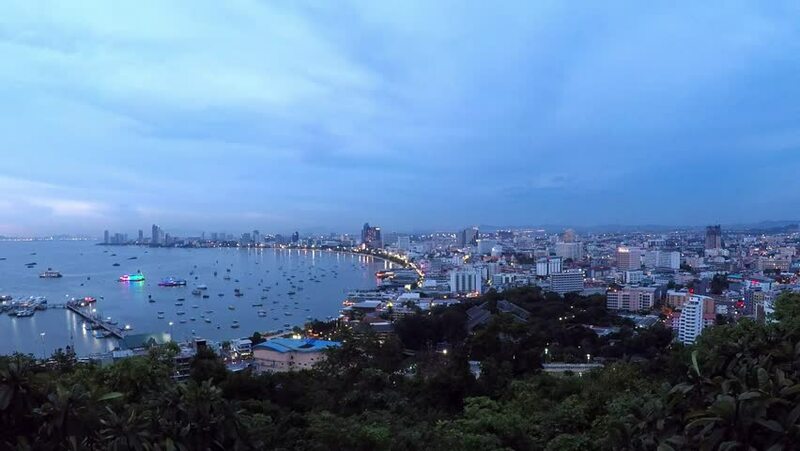 Time lapse landscape of the Pattaya city in the evening until nightfall. hd00:16Time lapse motion of cars driving on Highway 101 into Los Angeles at dusk, California. 4k00:10Barcelona cityscape. Day to night time lapse. hd00:23Navigable river near the port. Aerial view. Summer evening.